The most popular online sportsbook, Sportsbet, has won a temporary injunction against its rival CrownBet from changing its name after a long-running scandal. While the bookmaker has won the first round, it remains to be seen whether the company will be victorious in the end. Sportsbet was Australia’s first online bookmaker and received a gaming license in 1993. The company was purchased by Matthew Tripp in 2005 and expanded to quickly become one of the most successful bookmakers in Australia. The company’s worth was estimated to be around $400 million when it was purchased in 2009 by Paddy Power Betfair. Paddy Power is estimated to be worth $5 billion. Sportsbet takes bets on many different sports, including horse racing, soccer, rugby, and cricket. CrownBet was a part of the larger company, Crown Resorts and Entertainment, which began as a publishing and television company in Australia and is owned by the Packer family. However, the company has run into a scandal over the last few years. James Packer, son of the founder, has faced fines in both Macau and Australia for game tampering and money laundering, which led to the jailing of Australians in Macau. In addition, Packer himself has faced personal scandals: first, his well-publicized romance, engagement, and breakup with Mariah Carey, the American singer, and then his decision to seek treatment for mental illness. Packer resigned from the day-to-day operations of Crown Resorts and Entertainment and has been selling off pieces of the company for the last year. One of the pieces he sold was CrownBet, which was bought by The Stars Group, a large Canadian company with a lot of online presence in Canada. 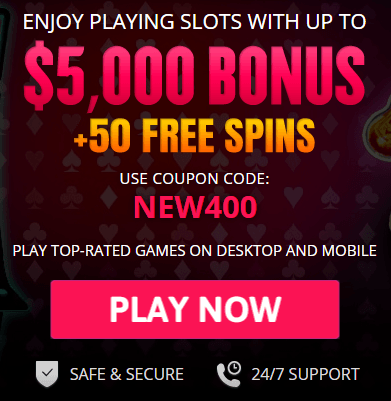 It is the largest online poker and casino gaming company in the world. As part of the change in the company’s ownership, CrownBet wanted to change its name to Sportingbet in order to distinguish itself in the new company as well as advertise its rebranding. It has been CrownBet’s assertion that Sportingbet was the name of a betting company run by the father of Matthew Tripp. It was purchased by William Hill in 2014. After the company bought Sportingbet, it deactivated it and changed the name. However, Sportsbet argued in the court that its name is older than Sportingbet and that a change in name from CrownBet to Sportingbet is too similar to Sportsbet and would lead to confusion among its loyal customers, which is a violation of its branding. While the Sportsbet/Paddy Power company has won the first round, CrownBet can choose to continue to rebrand using SportingBet and face a trial, which would ensnare CrownBet in further litigation and scandal, or make a decision to get rid of the idea altogether and find a different, uncontested name. This court battle is merely the latest salvo for control of sportsbooks in Australia, especially with the continuing growth of online gaming, as well as mobile and app gaming within sports betting, which has been estimated to rise another 10 percent in 2018, despite the crackdown on gaming by the Australian government and the slow decline in Australian gaming overall. There has been a dogfight between sportsbooks, such as Sportsbet, CrownBet, Ladbrokes, Tabcorp, and Bet365. The fight has only intensified as sportsbooks consolidated. CrownBet purchased William Hill earlier this year, beating Sportsbet out in a bidding war. If Sportsbet had won the contest, it would have completely solidified its position as the largest sportsbook in Australia. Now, CrownBet/Stars is the third leading company in the sports betting market.